Your shared hosting account or your VPS may have probably served you well for quite some time, but there comes a time when it might be a good idea to upgrade your website(s) to a dedicated hosting plan. There are definitely financial factors that determine when you can and will get a dedicated server, but today we will look at some of the technical reasons for taking the next step. Necessary resources – Your websites might be taxing the server more than they should. It may be so severe that your web host may insist you move them to your own server in order to avoid future problems. When your websites need dedicated CPU power and RAM, a dedicated server makes sense. Often people consider VPS as an intermediate and economical option. It is true a VPS will give you better performance as compared to a shared server, however if your website continues to require more resources in terms of CPU and RAM, then a Dedicated server is definitely recommended over a VPS. After all we need to understand that it’s a Virtual Dedicated server, where its CPU and RAM are shared amongst your neighboring VPS servers. On the other hand, a Dedicated Server will give you 100% access to CPU and RAM which you can utilize entirely for your own websites. It will be your dedicated box there in the data center hosting your websites. Unique software – In some cases, you need to install unique software that a shared hosting account may not have. You can use a VPS or dedicated server to accomplish this task. Again, if the application is resource hogging, then a VPS might not be sufficient for your custom software hardware requirements. Complete control – If you need very specific configuration options enabled or simply have a strong desire to be in control of your server technology, a shared hosting account is not enough. A dedicated server gives you freedom, control, maximum resources, and the ability to install and manage the software you need. If you meet the financial requirements and also have one or more of these reasons to upgrade, a dedicated server may be in your future. There are plenty of reasons why you might want to make the move to a dedicated server. While most people think in terms of space or power, not all reasons revolve around these factors. Here are 10 of the top reasons you might want to get a full dedicated server. You run a business and need to host your web presence on a secure server that is customized to meet your clients’ needs. 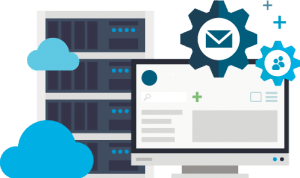 You have a very popular blog or media site that has outgrown its shared hosting account and is even too big for a virtual private server (VPS). You are a reseller and want to offer managed servers to your clients. 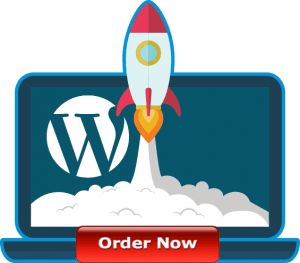 You are starting your own web hosting company and hope this will be the first of many dedicated servers you start to host websites. You’re a Linux, BSD, or other Unix geek and just need to have root access and total control over everything. You run a group of non-profit organizations or a single organization with multiple chapters and need several hosting accounts for all of their websites. You want to start an online business and expect it to be huge within a year. You need to run complex web applications that require tools or software that do not come installed on shared hosting accounts. Your web applications require a great deal of RAM or CPU power. You’re starting a gaming server to host massive multiplayer online gameplay and tournaments. We at RShosting, offer the best dedicated server hosting solutions with servers hosted in UK and US datacenters. 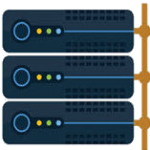 Our wide range of dedicated servers allow you to configure and order your own dedicated server depending on your budget and hardware requirements. With a choice of Single Core, Dual Core and Quad Core servers, all our dedicated servers come with fully managed service, which offer you a complete peace of mind, while we monitoring your server for security and uptime. Our round-the-clock 24/7 experienced support makes sure to keep your dedicated server up2date and secure with latest patches and updates. Our dedicated servers also come with a choice of operating system such as Linux Centos and Microsoft Windows.